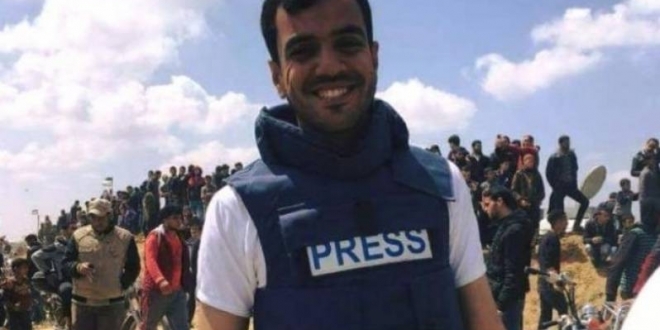 The defense minister of Prime Minister Benjamin Netanyahu’s cabinet Tuesday chocked the world calling Palestinian journalist Yasser Murtaja who died Saturday after being shot the day earlier by Israeli Defense forces (IDF) a Hamas terrorist. Avigdor Liberman told the media Murtaja, the co-founder of Gaza-based TV production company Ain Media, was on Hamas payroll for several years and held a rank amounting to that of captain. “This is a member of the military arm of Hamas who holds a rank parallel to that of captain, who was active in Hamas for many years,” Lieberman said. “Once again we see how Hamas uses the media, ambulances and patients, including cancer patients who are sent to hospitals in Israel,” to carry out “terrorist missions,” the Israeli minister said without backing up his comments with evidence. Murtaja’s death drew the anger of media watchdogs against Israel. Reporters without Borders slammed IDF for intentionally killing the 31-year old Palestinian. Murtaja was shot in the torso during the second Friday of Hamas-backed “March of Return”, a peaceful protest to last until mid-May. The protest marks the 70th anniversary of Israel’s establishment and the eviction of thousands of Palestinians from their lands in the process of the creation of the Jewish country. The protests took place few meters from the border with Israel, which deployed snipers on the Israeli side. He was shot although he was wearing a vest emblazoned with the word “press”. Lieberman over the weekend sought to justify Murtaja’s death arguing that he was operating a drone to gather intelligence on IDF. “I don’t know who is or isn’t a photographer. Anyone who operates drones above IDF soldiers needs to understand he’s putting himself in danger,” Lieberman said. Ain Media was nominated last month to pocket $11,700 from the USAID. The company qualified for the grant following strict screening requirements of USAID-funded assistance, the Israeli media reports. Early this week, Lieberman also noted that all Gazans are subject to Israel killings arguing that all of them are Hamas operatives.